As a rapper who grew up in Brooklyn's fairly sketchy Marcy Projects, you'd think that hip-hop titan Jay-Z would be used to threats of violence. Unfortunately for Detroit resident Leon Desmond Barrett, Jay-Z wouldn't let this one go. 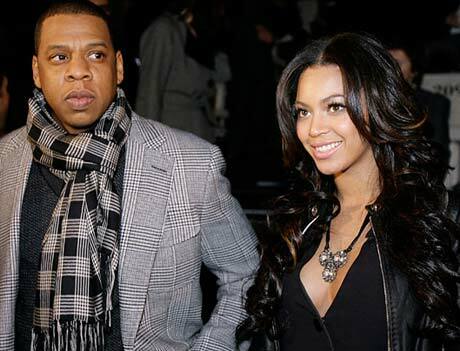 Even when you take into account the rap CEO's insanely busy schedule, which includes releasing a new album and potentially writing a book, after years of sending death threats to both Jay and his wife Beyoncé Knowles, Barrett is facing jail time. Barrett allegedly sent dozens of letters over the last three years threatening to kill the celeb couple, as well as NFL football star Jerome Bettis and Detroit Radio DJ Tune-Up Man. One such letter, dated August 18, 2007, reads, "I'm getting ready to start killing some more people. Beyonce, Jay-Z, Jerome Bettis and Tune-up Man are the first four people I'm getting ready to kill," reports MTV UK [via The Daily Swarm]. With Jay's recent announcement that he will collaborate with some huge names like Kid Cudi and MGMT for his highly anticipated forthcoming record, Blueprint 3, it's good to know that he and his superstar wife can now sleep safe and sound without the worry of being murdered by a psycho killer.